I have a 5V 5m ws2812 led strip, 9W/m. Can anyone recommend a reliable power source to use for powering it? 9A is much more than the common USB chargers deliver, and a lot more than the HLK-5 is able to deliver. I've found https://www.aliexpress.com/item/Power-Supply-Transformer-Adapter-with-DC-cable-AC100-240V-to-DC5V-2A-3A-5A-10A-20A/32715717881.html but I don't feel very comfortable trusting that it won't overheat. An alternative might be a ~5A 230VAC->12VDC adapter and a few smaller 12VDC->5VDC adapters? @mfalkvidd maybe an old pc power supply? @Yveaux yes, that could be a good option. They tend to be a bit bulky, but the reliability is usually nice and most models seem to handle 15-20A on the 5V rail. Hard to say anything about quality, but the following is at least in proper casing. Have bought couple of similar ones. They are veeery noisy.... just something (depending on the use case) that might require extra components to compensate. 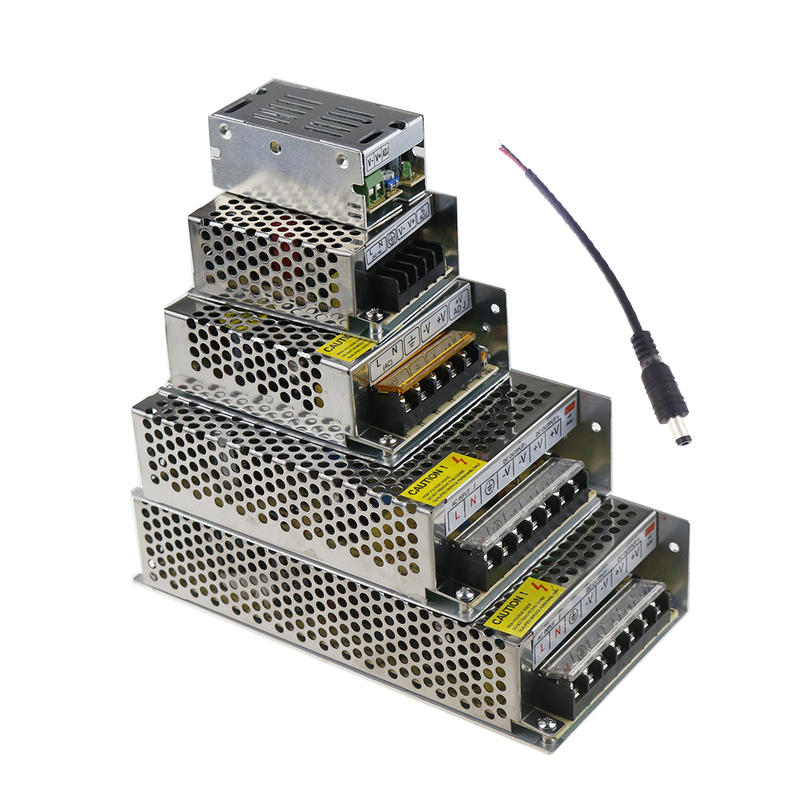 I haven't looked at 5V, but when buying from Ali I prefer solid metal enclosure psu, for safety and aspects like grounding, shielding and cooling. No doubt, as @Yveaux mentioned, use a (branded) sfx/ atx mini power supply. Easy 15 amps (up to 40A), reliable and efficient..
5V 10A for about 28USD in a 10x10x4cm package. Pretty neat.